Introducing this uniquely designed Photo Frame and Wall Clock combined into one great product. This wall clock features a mysteriously chic black clock face with grey geometric patterns. It already comes with photos of dogs in different sizes and breeds. 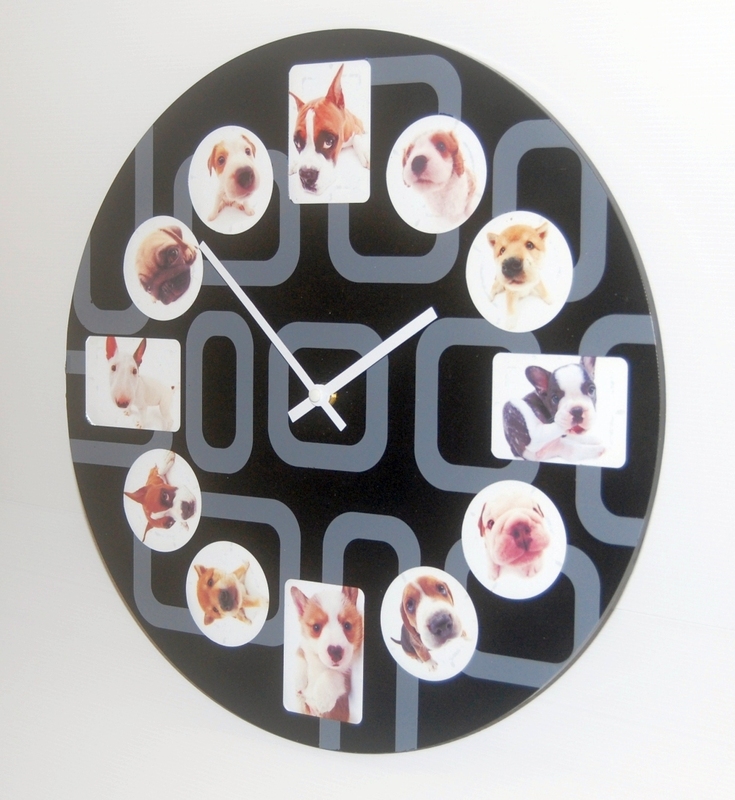 Of course you can also customize this fantastic product with your own pet photos to create that look that is uniquely yours. This item usually retails for MSRP S$50. Take advantage of this super money saver deal and check out our fantastic value pricing. This clock comes in a good size of 40cm diameter and is sure to add that impactful wow factor in your home. The photos can be swapped in and out from panels in the back of the clock.